It’s been often stated that moving house is one of life’s most stressful events, made so more by the circumstances surrounding a move rather than just the move itself. 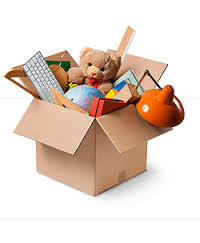 Moving comes with logistical and emotional issues that include the tedious task of packing and unpacking, the difficulty of dealing with lost or damaged sentimental items and leaving behind a host memories in your old home. Sometimes this major change means you’re in between homes and you need a place to keep everything you’ve accumulated until you’re settled again. Whatever solution you can find that alleviates unnecessary stress, take it. Every bit helps. You don’t have the burden of inconveniencing others by taking up space in their spare room, because a storage provider has dedicated space just for your belongings, and they don’t complain about having no room to keep their own stuff. With all the best intentions, friends and family can’t keep an eye on your belongings 24/7, so sometimes things get moldy or attract pests, like termites. Find a storage service that has a regular cleaning schedule that keeps your goods move-in ready, for when the times comes. This is a major one: safety. Sometimes the DIY approach leads to unfortunate mishaps, dents bruises and breaks. So get the proper supplies – like bubble wrap, tape, sturdy boxes etc. - even better if the storage company provides them, along with safe transportation. Well-trained movers know how to handle your goods even better than you do. Once everything is stored you can hope it remains safe, or you can have a good measure of certainty with a service that offers security 24/7. A good storage outlet allows you access to your unit 24 hours a day, and will offer private or custom solutions based on the nature of your needs. Sometimes you may not have a lot to store, but more than you’d like to carry around; it’s always helpful when a provider offers storage for a small number of items, even if it’s just one box. When you’re finally ready to settle into your new place, the best-case scenario is if the storage company can also move you in. Not only does it save you a sore back, but the really good services will completely set up your new home. All you have to do is point and click, so to speak. Some useful tips to keep in mind during your transition include clearing out the contents of your fridge, keeping items that you may need regular access to in an easily accessible box near to the door of the storage unit and labeling boxes with important items.